Learn lots of useful conversational English phrases in English with this Advanced English Phrases video lesson! In this sample Master English Conversation 2.0 Phrase Builder video lesson, you’ll learn lots of great conversational English phrases perfect for both casual and professional situations, that will help you express yourself in more detail and have better English conversations. 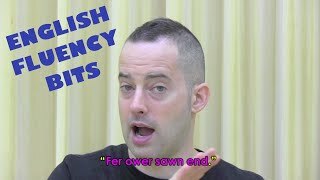 Enjoy this Advanced English Phrases lesson video about conversational English phrases, and let us know what you think in the comments! Well, hello, and welcome to this month’s Phrase Builder lesson. It is a pleasure to welcome you back if you’ve been with us for a while, and hello if you’re new. We have, uh, an actually really interesting lesson set this month. exploration, doing some other things that are, you know, kind of normal in everyday life, but also checking out cultures and exploring, as I said. Uh, so it should be a really interesting mix of words, but you’ll see how they all work together in the conversation. So, as usual, in this lesson, we’ll be covering the shorter words first, and then we’ll talk about the longer phrases and expressions after that. Okay, our first word is aspiring. to improve your English, so get out and start practicing. I’m trying to inspire you to do that. to do something means that you have a particular goal or you have a particular aim. you are an aspiring English learner. 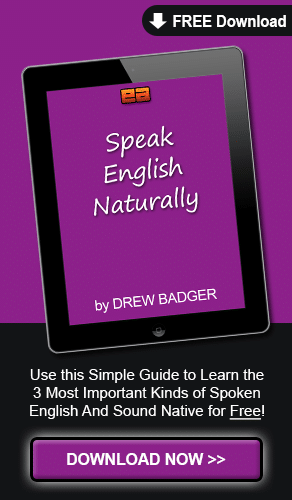 You’re an aspiring English learner, or you are aspiring to learn English. uh, aspiring to become, you know, whatever else your goals are in your life. And you’ll see this in the conversation when Henry is talking about being an aspiring musician. So, people that are saying, well, I’m working as a waiter in a restaurant, but really I’m an aspiring musician. So, really I want to do this and that’s my real goal, but I have to do this other job over here. So, whenever you’re aspiring to do something, that’s your goal. Next, a great conversational word, max. uh, it just means that you’re having a, uh, higher limit or the greatest amount of something you can possibly do. So, as an example, maybe I have a max of about three hours to practice playing the guitar every day. and then I have to go do my work, or whatever else it is I have to do. or a certain amount of effort, or something like that. A certain amount of energy. So, this power, maybe I have, uh, a light bulb here. Or, I can run for maybe five kilos max. And this is just how you would use it in a conversational expression. so ten hours max. And you can end a sentence like that as well. but I can only speak in a conversation for five minutes max, something like that. Anyway, I highly recommend you use this, uh, and again, listen for it in the conversation as well. Next, to be over with something. To be over with something. Now, when you’re finished with something, these are very related, so listen carefully. When I’m finished with something it just means I’ve stopped doing that thing. I don’t have any emotional content or any emotional feeling in any way about that thing. So, if I’m eating my dinner and I stop, I’m finished with dinner. but I’m not thinking about it in a good or a bad way. So, I’m just finished with my homework. I’m finished with this video if I’ve stopped making this video, that kind of thing. But, to be over with something, this is a related thing but slightly different. This is where we have emotion in that, and it’s usually where we’re really tired about something, or we’re not very happy with that thing. So, I’m, I’m over with that situation. it just means that I don’t like it anymore. Like, oh, like my ex-girlfriend, yeah, I’m, I’m over that. where I’m not excited about my girlfriend, or I’m even upset with her. I’m over with her, or I’m over her. I’ve forgotten about her, I’m past that. You can also talk about being over something, like maybe a new fashion trend. So, maybe like these t-shirts are very fashionable right now, but maybe next year people are over with these t-shirts. They don’t use them anymore, they don’t like wearing them, that kind of thing. and usually there’s some kind of emotional connection, some kind of, uh, deeper feeling with that thing. Next, the expression, full on. Now, Henry is from Australia and this is an Australian expression. You won’t really hear this in America. but it’s not a very American expression. it just means there’s a lot of that thing. So, you know, work is really full on right now. So, it just means like full on, like, I have a lot of that thing. So, you can kind of guess the meaning of that. and if you use it in America people might not understand what you’re saying. But, you know, if you go to Australia, there you go. So, the, these lessons are really full on. So, my English learning is really full on right now. Next, another great word, monotonous. Now, in this set of lessons we’ll cover a few things, the prefixes and the suffixes of words. These are the little pieces that begin a word. your vocabulary learning because if you learn all these different pieces, then you can put them together to make lots of different words. So, the word mono means one. just means ooh, one sound. and again, notice how it kind of changes from monotone to monotonous. Yeah, this is a really monotonous situation. It just means it’s boring and it doesn’t change, it’s the same thing over and over again. I was at a lecture very, uh, very, I don’t know, yesterday, and it was very monotonous. I didn’t enjoy it at all. It was very boring to listen to. but other people, it’s very monotonous and boring. These are great native, uh, conversational words you can use when you’re talking about the positive or the negative of something. a pro is that it’s close to my house. is that maybe I don’t get paid as much as I’d like. So, there are pros and cons with everything. To be jaded means you’re kind of tired of something, or maybe you don’t really like it so much anymore. You’ve done it so many times that, yeah, it’s just, it’s just not your thing. You don’t really like to do it. uh, maybe, you know, you like bring your lunch to school every day, but somebody keeps stealing your lunch, or they keep stealing something like that. And after a while, you don’t want to bring your lunch anymore. The situation has kind of jaded you. uh, you know, I don’t like that people try to steal my lunch, that kind of thing, so you feel bad about that situation. So, it can be feeling bad, or it can also just be feeling kind of tired of something. Yeah, I’m kind of jaded. I’m jaded, you know, I’ve been like, maybe some people are jaded about learning English. Maybe you’ve been learning, uh, English for a long time with many different programs, and you feel kind of jaded about the whole learning situation. So, you’re tired of it, like, ah, why can’t I just get fluent, why can’t I just find a program that works. but maybe you feel a little bit jaded if you’ve been studying for a long time. he is, I believe, uh, maybe 20 years old or 19 years old. So, he’s going to use the vocabulary of a slightly younger person. And these two words are killer, and sweet. So, the first one, killer. that was a killer rollercoaster we went on. That was just a really amazing, a really exciting, um, you know something like that. you know, it could be like a killer vacation, you know, again, it’s one of those things that young people would use it. um, you know, watching, uh, or if you’re in a conversation with people at work, something like that. language is evolving, so the new things that are coming up that younger people are using. Hopefully, these are some killer English lessons. Maybe you wouldn’t say that, but hopefully you can. It just means something that’s really exciting and good. So, the second word, sweet, it just means it’s a, like an exclamation thing. You can say, wow, a friend of mine got tickets to the new concert. It just means yes, yes, very cool, very exciting. but the, again, slang usage of that, it just means cool or exciting or great. and I hope when you’re, every time you, you get a mail from me you’re like, sweet, yes. Next, a more advanced word, proficient. To be proficient at something just means to be skilled, and that’s what we’re trying to do here. We’re trying to help you become proficient in English. then you can speak confidently, and you can enjoy lots of more things, maybe in business or personal life, whatever those things are. But hopefully, you are becoming more proficient as you learn more each month, and you get out and practice. To have an outlet just means a way of releasing some kind of energy or some kind of thing. Like, the outlet on your sink is where the water comes from. You could call that an outlet, or also just like a plug on the wall where you get your power from. this, uh, little box, or the little rectangle on the wall, this is called an outlet. It just means where the power comes out. and a creative outlet might be something like playing music or making art. Or, what I do, actually, this is my creative outlet, I like to teach. So, I like to think of different ways I can help people learn and that’s my creative outlet. So, a way of letting my creativity come out in some way in the real world. And, our last two short words, we’ve got angst and melancholy. You’ll often hear these words used together or in similar situations. To have angst, just think of the word anxious. and maybe you don’t have a specific reason why. So, often we talk about teenagers this way, that there, there’s kind of teenage angst. yeah, you know, I’m kind of like angry at the world and I don’t really know why, so the kind of typical teenager situation. So, this is teenage angst. It’s a kind of general worry. So, the same thing with melancholy. Now, melancholy is less of a kind of worry and anger, like angst. Anger is kind of slightly in, uh, teenage angst a little bit. So, you’ve got anxious and anger and angst, all these like ang words, so think about that. But then you’ve got melancholy, which is kind of a general sadness. And this is also maybe something teenagers experience or other people. Maybe, you’re just kind of feeling sad one day, you don’t really have a reason why, this is a melancholy feeling. It’s a really great, uh, advanced word you can use, but it’ll help you sound more native as well and conversational. Yeah, I’m feeling a bit melancholy today. I’m feeling a bit melancholy today. I’ve got a lot of angst. All right, now let’s move into our longer phrases and expressions that you’ll see in the conversation this month. The first one is “what are the odds”. Now, what are the odds, this is a fantastic phrase, I highly recommend you use this. It’s got lots of uses in many situations. But to talk about something, the odds of that thing are the chances of that thing happening. So, what are the chances of something like that happening? But there are other situations where maybe something will happen quite frequently. Like, if I live in Seattle, and it rains that’s a pretty common thing. cause the odds are pretty high. rare thing that we both happen to be in this place at the same time. things or ten million chances or something like that. But again, it’s for rare situations. Listen carefully to how this blends. Next, very quickly, no worries. a just native and casual way, and again, when you’re talking with friends in a casual situation, this would be, no worries. or if someone is apologizing to you, you can say, oh, it’s okay, or it’s all right, that kind of thing. But, no worries, again, it’s just a casual way of saying, it’s okay. So, usually, for casual situations and when there’s maybe like a slight thing that happens, but it’s not that big of a deal. thanks for taking the time to do something. you know, I’m busy and I have to make a schedule for some time. I am taking time out of my day. So, this is a more conversational way of talking about using time. You can also talk about making time for doing something. So, I can thank my friend for making the time to meet me, or taking the time to meet me. Either of these is just fine. and when you say this it just shows that you really appreciate what they’re doing. or thank you for making the time to meet me. Next, to make the most of something. To make the most of something. It just means that whenever you have an opportunity to do something you really want to give all of your energy and all of your effort to that thing. but, you know, I’m trying. And, when I have practice opportunities, I want to make the most of those. then I don’t want to just sit and, you know, play video games on my phone or something like that, I actually want to make the most of that time and practice. make the most of your time, or to make the most of that situation. To make the most of that situation. Next, three expressions that are related, to get a grip on something. and to get a handle on something. All of these mean generally the same thing where you’re kind of physically having the idea of holding something. When you’re getting new or trying something new, you’re doing something new, and you’re not used to that thing. but if I have two balls bouncing that’s a little bit more difficult. So, I haven’t yet gotten the hang of doing that yet. ah, I haven’t gotten a grip on how to do that yet. So, I’m still, I’m reaching, but I haven’t yet gotten a grip or gotten the hang of that thing. connecting that you, ah, you finally understand it now, and you’re starting to get more comfortable with that thing. When you’re also talking about getting a grip you can talk about getting a grip on yourself. And I’ve talked about this in the lessons before. So, to get a grip on yourself, remember, to grip it just means to hold something, so get a grip on yourself. Usually you’d use this when you’re in a panicked situation. It just means to control yourself. I get the hang of that. I get the, uh, I get a, you know, I get a handle on that thing. I get a handle on that. So, practice all of these things and listen for them in the conversation. Next, a great phrase, it looks good on a resume. You can also say that something looks good on paper. and often people will write, you know, really nice things about themselves. I’m a hard worker, and I do this and that. Um, so, when you’re talking about a resume, it’s usually like the best picture of yourself that you’re giving to an employer or, you know, potential employer. it just means some activity or experience you’ve had that when it’s on a resume people will find that impressive. um, you know, being able to speak ten languages looks good on a resume. It looks good on a resume. like, maybe I work in world government or, you know, something like that, international government. So, I’m, I need to, uh, work in a situation where I’ve got to use lots of languages. So, I’m more likely to be hired if I have, uh, ability with that. So, something that looks good on paper, or looks good on a resume. maybe they’re not so good. but in person maybe they’re not so nice. So, to look good on a resume or to look good on paper. I will read for hours on end. I will play basketball for hours on end. I like to study Japanese for hours on end. It just means many hours. Listen carefully to how it blends. Next, I’m no authority on something. I’m no authority on baseball. I’m no authority on synchronized swimming. I’m no authority on mountain climbing. To be an authority on something just means you’re very knowledgeable about that. So, I am an authority on English fluency and speaking confidence. That’s what I do. I do that every day. I teach for hours on end, or I work on lessons for hours on end, all the time. So, I am an authority on that. just so you know, I’m not an authority on that thing, but I know maybe a little bit about that. So, as an example, I’ve never been to New York City, but I know a little bit about it, you know, from movies and what I hear from my friends and things like that. So, I know New York a little bit, but I’m not an authority, or I’m no authority on New York City. So, I’m not an authority, or I’m no authority on New York City. And the last one, another fantastic idiom, we’ve got more bang for your buck. This is a really great, fantastic thing I’d like to leave you with, and hopefully you use this a lot in your conversations. When you’ve got, uh, going to spend money on something and maybe you want to buy a new car. You want to get the most bang for your buck, or more bang for your buck. And your buck just means a dollar, or the money you’re spending. There are lots of different words, maybe in your own language you have the same thing. There’s maybe one or two words for money, and then you’ve got all these other ones as well. you can talk about, uh, a buck. A buck just means one dollar, so one buck, two bucks, three bucks. I’ve got three bucks in my pocket. Uh, this shirt cost me five bucks, that kind of thing. So, more bang for your buck just means more value for the money you spent. So, hopefully when you’re getting, you know, more bang for your buck, like, if I’m buying a new video camera I don’t what to get some cheap thing. I want to have, you know, I have a budget of maybe, like, uh, a thousand dollars I’m going to spend on a camera, and I want to get the most bang for my buck. So, the most value, the most like explosion, the most power, for the money I spend. 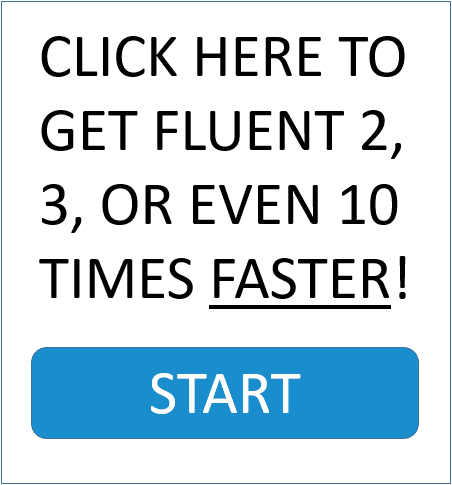 I look forward to seeing you in the Fluency Corner, uh, Fluency Corner lesson coming up next. but then start using them in conversations with other people. And the more you practice, the more bang for your buck you’ll get out of these lessons. Uh, have a fantastic day, and I look forward to seeing you in that lesson. Fantatisc! Thanks for the lesson.